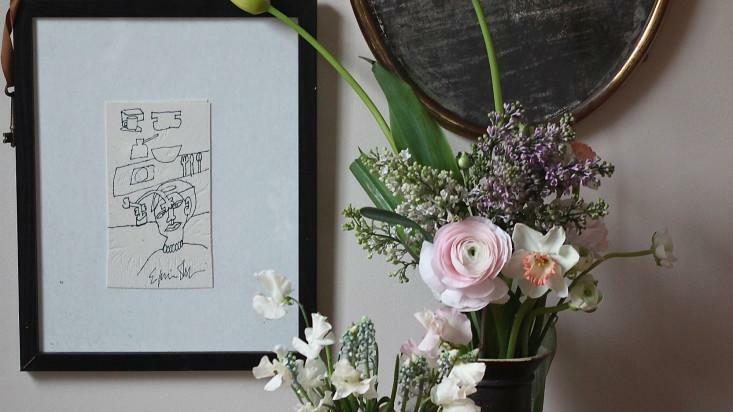 Get tips on how to make a Mother's Day bouquet last a whole week, cool coffee table alternatives, and more in this week's Links We Love. Every mom loves a bouquet on Mother’s Day, but here are great tips on making those blooms last a whole week. Don’t have enough space for a coffee table in your apartment? Don’t sweat it–here’s a great round-up of cool alternatives. We’re addicted to the ChefsFeed video series featuring chefs reading their bad Yelp reviews aloud. This one, in which San Francisco chef Richie Nakano of Hapa Ramen defends his restaurant’s “fatty” pork belly, is hilarious. We ran a story about a stunning bathroom makeover a couple years back and we’re still obsessed with the blue tiling. You can shop the look here. These dispatches from the road by three Cali boys on a cross-country motorcycle trip are so entertaining. Why are Pacific sea stars disappearing? We’re reading about it with terrified fascination.